Ninth Grade English consists of regular English and Pre-AP English. Some of the curricula both levels use to teach skills are: "To Kill a Mockingbird", "The Odyssey", and "Romeo and Juliet." The writing involves argumentative and text analysis for character development, theme, author’s use of tone, diction, and syntax. Emphasis is placed on vocabulary; both domain-specific and SAT suggested words. In Pre-AP English, students will make and keep a portfolio as well as complete an independent book study every nine weeks. Eighth Grade English consists of regular English and Pre-AP English. Pre-AP English is a challenging, academically demanding course that prepares students for future AP classes by helping them develop the skills beneficial to those classes. Students are expected to devote significant outside class time to homework assignments, projects, daily work, and reading assignments, which are more rigorous than in a regular English class. There may be homework assignments on weekends and holidays. Students must complete a Pre-AP contract to take this class. The regular English curriculum is designed to provide experiences and life skills that students will need for academic success in high school and higher education. Course content consists of reading grade-appropriate texts in a variety of formats, with embedded grammar instruction, and writing skills with an emphasis on supporting claims. Students will be required to read and perform additional work outside of class time. Eighth Grade US History (Regular or Pre-AP) This course is a study of US History from the creation of the US Constitution through 1900. It will focus in depth on the effects of changing the culture, technology, economy, and environment in the United States. The course is designed to develop students' understanding of the cause and effect relationship between past and present events by recognizing patterns of interactions, and understanding the impact of events in patterns of interactions, and understanding the impact of events in the United States within an interconnected world. Students will develop and apply disciplinary literacy skills such as reading, writing, speaking, and listening. They will examine a variety of primary and secondary sources and communicate responses in multiple ways including oral, visual, and written forms. Students will be able to select and evaluate sources of information, draw and build upon ideas, explore issues, examine data, and analyze events to develop critical thinking skills essential for productive citizens. Ninth Grade US History (Regular or AP) This course is a study of US History since 1890. It will focus in depth on the effects of changing the culture, technology, world economy, and environment, as well as the impact of global conflicts on contemporary society in the United States. The course is designed to develop students' understanding of the cause and effect relationship between past and present events, by recognizing patterns of interactions and understanding the impact of events in the United States within an interconnected world. The emergence of the United States as a world power to the present will be studied. Students will develop and apply disciplinary literacy skills: reading, writing, speaking and listening. They will examine a variety of primary and secondary sources and communicate responses in multiple ways including oral, visual, and written forms. Students will be able to select and evaluate sources of information, draw and build upon ideas, explore issues, examine data, and analyze events to develop critical thinking skills essential for productive citizens. 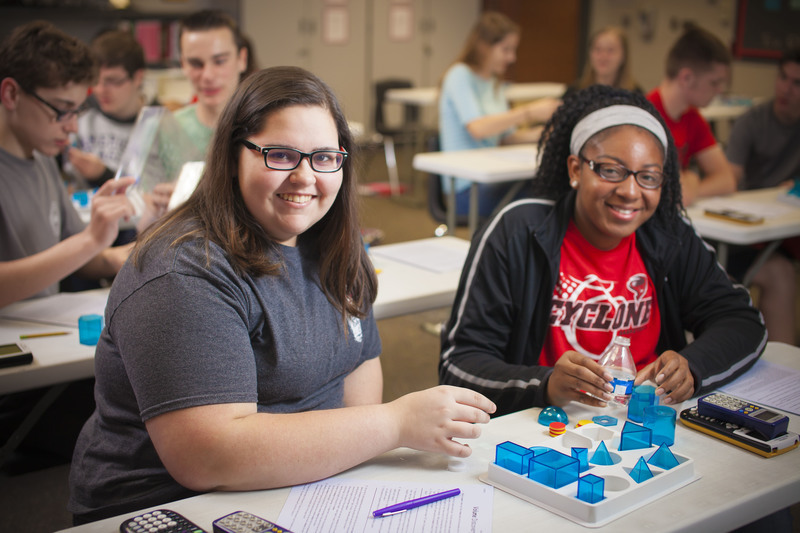 Physical Science is a course that combines physics and chemistry in the ninth grade as a regular or pre-AP course. Chemistry involves studying the composition, structure, properties, and reactions involving matter. Physics is the branch of science that examines matter related to energy, motion, and force. 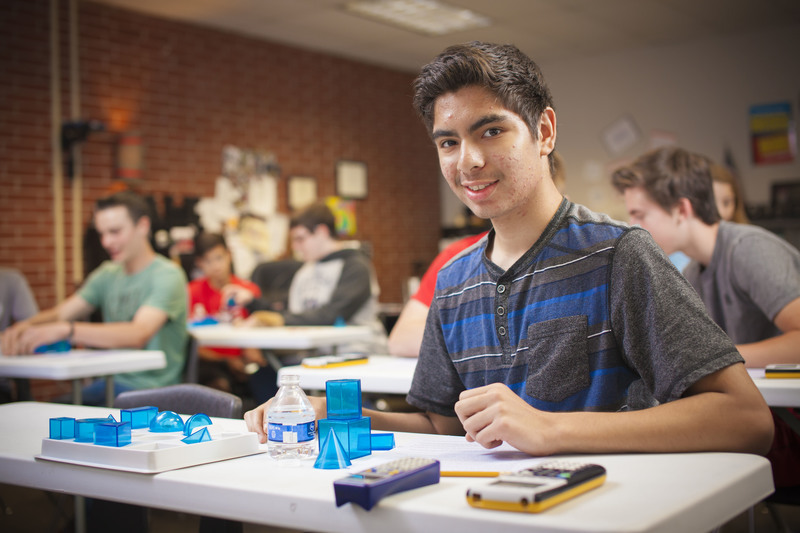 Physical science classes will also practice measuring, dimensional analysis, graphing, and problem solving to support the teachings of physics and chemistry. Students will be receiving this information by way of lecture, lab, projects, personal reading, and demonstrations. Eighth Grade Science is an integrated study of the sciences as a regular or pre-AP course. It includes a study of the characteristics and processes of science. Living systems, including single cell and multi-cellular organisms, and cell functions and characteristics, are included in this integrated study as well as heredity and genetic variations. The physical science study will include atomic structure, electromagnetism, circuits, and characteristics of waves. Earth science will include earth’s internal and external processes and features created through these processes. A study of objects in space and their relation to earth is also included. This course stresses the following basic geometric terminology: formal proof; basic construction; trigonometry; congruency of triangles; properties of parallel lines; and similarity of triangles and other polygons. Included in the course is an introduction to coordinate geometry, space geometry, area and volume of polygons, and measurement of angles and arcs in a circle. Students are expected to devote extensive time and energy to these classes. Homework assignments, projects, daily work, quizzes, and reading expectations are more rigorous than in a regular class. The class will be very fast-paced and individual modifications will be minimal. There may be homework assignments on weekends and holidays. This course is for students who have not previously earned an Algebra credit. Algebra 1 is an introduction to algebraic properties of real numbers, linear and quadratic equations, basic operations of polynomials and linear functions. This course bridges the gap between the near-concrete ideas of arithmetic and the more abstract ideas of higher mathematics. Algebra I, Pre-AP is an introduction to algebraic properties of real numbers, linear and quadratic equations, basic operations of polynomials and linear functions. This course is much more demanding than regular courses. Students are expected to devote extensive time and energy to these classes. Homework assignments, projects, daily work, quizzes, and reading expectations are more rigorous than in a regular class. The class will be very fast-paced and individual modifications will be minimal. There may be homework assignments on weekends and holidays. Students who do not maintain a C average will be removed from the class. This course counts for high school math credit. This course is an introduction to algebraic properties of real numbers, linear and quadratic equations, basic operations of polynomials and linear functions. This course bridges the gap between the near-concrete ideas of arithmetic and the more abstract ideas of higher mathematics. Students are introduced to the four basic areas of language learning: listening, speaking, reading, and writing. Students learn to talk about practical topics such as weather, telling time, food, and daily activities. They begin to study Spanish grammar by comparing and contrasting the new language with their native language. They also study the history, geography, and culture of Spanish speaking countries. A tolerance of cultural differences is promoted. Spanish I is open only to students with no prior experience in the Spanish language. Math students work on volume activity. Students answer questions in class.